Dorothy Jewell Foster, 86, of Alma passed away Wednesday, August 1, 2018 in the Wilkins Nursing and Rehabilitation Center. Services will be 10:00 AM Friday in the Alma Baptist Church with Roland Barrick officiating. Interment will follow in the Alma Cemetery under the direction of the Bailes-Polk Funeral Home. Visitation will be held Thursday from 9 AM to 8 PM in the Velma Assembly of God Church. Dorothy was born May 30, 1932 in Rush Springs, Oklahoma the daughter of D.O. and Martha (Reeves) Whaley. She and J.W. Foster were married at Duncan, Oklahoma on February 25, 1951 and he preceded her in death on November 11, 1992. 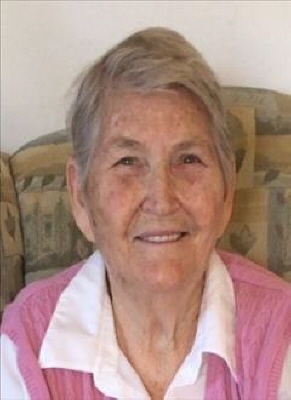 She was a homemaker who loved taking care of not only her children and grandchildren but also others in the community, She loved to read, work puzzles and going to the ballgames of her children and grandchildren. She was also preceded in death by her son Hershall, daughter Gwen, two grandsons Daniel and Kevin and a great grandson Montana. Survivors include his sons Gary Foster of Arlington, Texas, Alex (Red) Foster of Ardmore, Oklahoma, Matt Foster of Duncan, Oklahoma and Danny Foster of Velma, Oklahoma; daughters Carolyn Bench of Alma, Oklahoma and Louann Bench of Alma, Oklahoma; 13 grandchildren; 7 great grandchildren and 1 great great grandchild. To send flowers or a remembrance gift to the family of Dorothy Jewell Foster, please visit our Tribute Store. "Email Address" would like to share the life celebration of Dorothy Jewell Foster. Click on the "link" to go to share a favorite memory or leave a condolence message for the family.